Wildwood is launching is biggest ever charity appeal – to raise £50,000 to rescue two brown bears from horrendous living conditions and give them a safe happy home in our woodland wildlife park. The bears are currently kept in small, barren concrete pits in an abandoned bear breeding centre called Kormisosh, in Bulgaria. Kormisosh was used to breed bears to be shot by hunters until 1993 when bear hunting was outlawed. As a result, Kormisosh was abandoned, leaving the bears to a life of misery and neglect. The bears receive only basic care and a sub-standard diet of dried porridge. They have never been outside of their concrete pens, have never seen a tree or walked on grass, and with no mental stimulus they are in danger of losing their minds. Wildwood is working in partnership with Alertis; a bear welfare foundation based in the Netherlands which works to protect and rehome mistreated and neglected bears. Alertis runs projects to protect bears around the world and works to find them suitable homes free from neglect and abuse. Alertis is currently monitoring the bears at Kormisosh until Wildwood raises the funds to bring them to their new home. We desperately need to raise £50,000 to rehome the Kormisosh bears. This sum includes the cost of building the new enclosure, transporting the bears, vets' fees and rehabilitation programmes to give them a safe, happy and fulfilling life at Wildwood. A new 60,000 sq ft near-natural enclosure. Safe transportation of the bears from Bulgaria to Wildwood. First-rate health care & rehabilitation programmes. Enrichment programmes to stimulate the bears' curious nature. Specially designed diet that meets all of their nutrtional needs. A chance for the bears to learn and display their natural behaviour. To donate or for more information, please click here to visit our website. Wildwood Trust desperately need help to raise £50,000 to rescue two brown bears from horrendous living conditions in Bulgaria and bring them to a new home within the ancient woodland at Wildwood. Wildwood are creating the England's first brown bear rescue and rehabilitation centre where they will receive the specialist care and enrichment programmes to help them flourish and lead a full and interesting life. The bears are kept in small, barren concrete pens in an abandoned bear breeding centre called Kormisosh, in Bulgaria. The bears used to be bred for the cruel practice of canned hunting, being released for trophy hunters to shoot. This was stopped by the Government but means the bears at Kormisosh where abandoned and are at present looked after by volunteers who do not have the ability to continue to care for them. The situation is getting desperate with little help for the bears as their pens are falling apart. The leading bear conservation and welfare charity ‘Alertis’ highlighted the plight of these bears. Alertis experts are leading this project and training Wildwood staff to give the bears the best life they can. Once sheltered in our wonderful Kentish woodland we can rehabilitate them so they can lead a rich and happy retirement full of enjoyment instead of sorrow. The fundraising appeal launches at the beginning of the summer holidays and urges people to give whatever they can. The simplest way to support the appeal is with your mobile, text BEAR21 plus an amount between £1 and £10 (e.g. BEAR21 £5) to 70070. If you would like to give more than £5, you can you can also make a donation online by visiting https://mydonate.bt.com/events/bears, alternatively you can donate by phone 01227 712 111. £5 could help to buy bedding for the crates when transporting the bears to Wildwood, £50 could help towards the health checks and vet’s fees and £500 could help towards building their large woodland enclosure. Supporters of the appeal will be able to follow progress of the bear appeal on our Facebook and Twitter pages. Please use the hashtag #savethebrownbears. If you are interested in volunteering (over 18s only) or if you are interested in running a fundraising event please contact the Wildwood fundraising team on 01227 712 111. For further information about the appeal, opening times and admission prices, please visit www.wildwoodtrust.org. *Donations will be deducted from your mobile phone account and cost £5 plus your standard network text message rate. Wildwood Trust will receive 100% of your donation. Always get the bill payers permission. We have a wide range of content available to be used by the media. Please get in touch with us using the contact details below. Wildwood Trust opened in 1999 as a centre of excellence for the conservation of British wildlife, and was established as a registered charity in 2002. 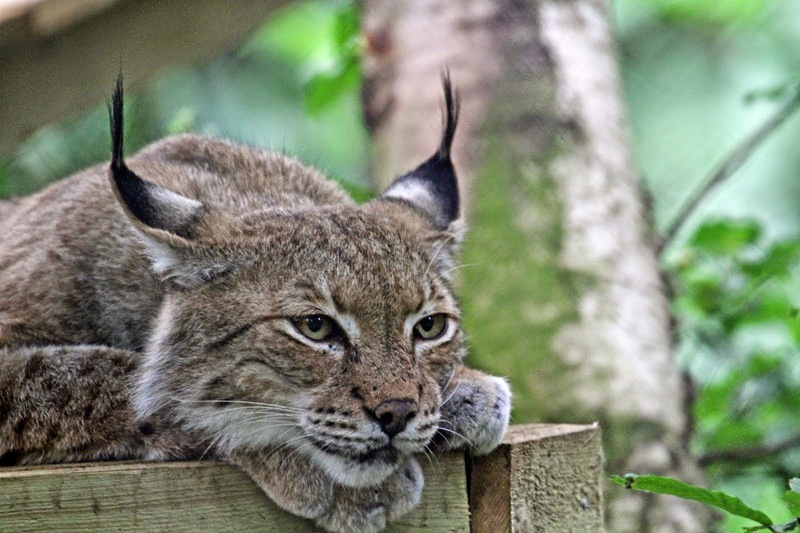 Wildwood is Kent’s best British wildlife park. 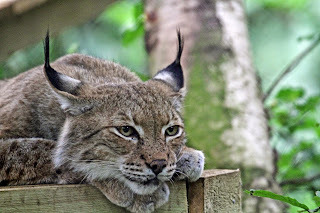 Home to over 200 native animals, past and present and set in 40 acres of beautiful ancient woodland, see wolves, bison, deer, owls, foxes, red squirrels, wild boar, lynx, wild horses, badgers and beavers plus many more. As one of the leading British animal conservation charities in the UK Wildwood Trust is dedicated to saving Britain’s most threatened wildlife. Wildwood Trust have taken part in many ground-breaking conservation programmes to date, which include, saving the water vole, using wild horses to help restore Kent’s most precious nature reserves, bringing the extinct European beaver back to Britain and returning the hazel dormouse & red squirrel to areas where they have been made extinct. Wildwood Trust operates a membership scheme which gives unlimited visits from just £3.50 per month. A family membership is just £7.00 per month for 2 adults and up to 6 directly related children. There will be plenty to keep the whole family entertained this summer at Kent's best British wildlife park, all at just £7.00 a month. * Wildwood, located just outside Canterbury in Kent, is home to over 200 of Britain's rarest and endangered species. Some of which can no longer be seen in the wild, such as wolves, lynx, European bison, beaver and Kent's only Eurasian elk (or moose as they are more commonly known and referred to as in North America). There will be free animal talks and feeds taking place daily around the park, plus watch our free bird flight displays every day at 2pm (weather permitting) or pop into one of our fun craft workshops. The children will love the amazing adventure play area featuring the tallest drop slide in Kent whilst the adults can relax and enjoy a bite to eat from the Beaver Lodge Café. Plus there will be a host of special games and activities taking place around the park, as part of a new and exciting campaign Wildwood are launching at the beginning of the summer holiday. For prices, opening times and a full list of activities taking place in the park over the summer holidays please visit www.wildwoodtrust.org and don't forget to check out our Facebook and Twitter pages for all the latest news. *Terms & conditions apply: Family Membership is £7.00 a month, for a maximum of 2 adults and up to 6 directly related children. Minimum membership term of 12 months. Please check the website for up-to-date prices. Wildwood Trust operates a membership scheme which gives unlimited visits from just £3.50 per month. A family membership is just £7.00 per month for 2 adults and up to 6 directly related children. Minimum membership term of 12 months and membership terms and conditions apply. We've got loads going on at Wildwood this summer holiday so come on down to the park for lots of fun and surprises! Free talks and feeds: Every day around the park during the holidays - check the What's On board on arrival. 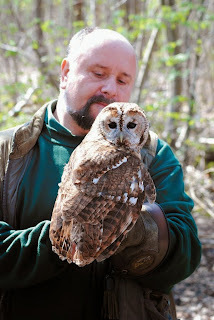 Owl flight displays: Free displays every day at 2pm (weather permitting). 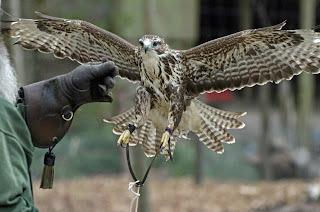 Watch our buzzard and owl in flight training in a spectacular daily display. Fun Summer Trail: Our most exciting summer trail yet! – Entries cost £1 and all completed entries win a free prize. Plus all entries submitted before 10 August will go into our prize draw to win a family ticket to the Sooty Show, Theatre Royal, Margate worth £38. All proceeds go towards our new charity appeal (details to be announced). Click here for more info on the Sooty Show! Craft sessions: We will be holding fun, impromptu craft sessions during the holidays – check the What's On board on arrival! *Please note that Wildwood membership or entry fees apply to attend events. Make beautiful giant butterflies to take home to celebrate the annual Big Butterfly Count (19th July - 10th August). Plus, pick up a free butterfly trail to count the butterflies you see as you make your way around the park. 11.30am - 12.30pm & 2.30pm - 3.30pm each day. £2 per child* Drop in any time (no need to book). Held in the Outdoor Classroom. Find out all about slithering snakes! Meet one of our biggest snakes, make snake crafts to take home and watch our adders being fed. 2.30pm - 3.30pm. £2 per person*. Drop in any time (no need to book). Adder feed is subject to weather conditions. Bring your favourite teddy for a grand day out at our fun-filled teddy bears' picnic. Enjoy stories, games and a bear-hunt, followed by a teddy bear cupcake and a drink. Everyone (young and old) must bring a teddy for a teddy-tastic time! 2.30pm - 4pm. £3 per person*. Must book. Ready your taste buds to sample a variety of Kentish fare from local suppliers with lots of opportunities to buy tasty treats for home or as gifts. Bring a bag and stock up! 10am - 5pm each day. Free* event. Drop in anytime (no need to book). Bring the family and join our annual challenge to record as many plants and animals as we can at Wildwood in just one day. Help us find and identify as many birds, animals, trees, plants, flowers and insect as possible -let's see if we can beat our record of 123 species! 10am - 5pm. Free* event. Drop in anytime. A day of Wildlife photography with expert tuition from our resident photographer. Gift vouchers also available. 10am - 4.30pm. £79 per person. Min age 18yrs. Must book. Celebrate the best time of year to see spiders! Go on a spider hunt to discover the different spiders lurking around Wildwood and make stunning spider crafts to take home. 2pm - 4pm. £3 per person*. Must book. Toddler club is back after the summer break! Come along for games, crafts and meet some of our animals too. Free* Toddler club for pre-school children and parents. 10.30am - 12pm every Monday and Thursday during school term time. No need to book, drop in any time. Say hello to Doris & Sixpence - our new otters! For those of you have not seen them yet, don't forget to visit our two new Eurasian otters this summer! The delightful pair; a male called Sixpence and a female called Doris, settled in extremely quickly and visitors can see them in their purpose-built enclosure. Their new life at Wildwood is truly a happy ending for them after they were both found orphaned and in desperate need of rescue to ensure their survival. They were originally taken in by New Forest Wildlife Park who are leading experts in the rescue, rehabilitation and re-release of Eurasian otters. The New Forest team worked tirelessly to treat and rehabilitate the pair for release back to the wild but sadly this wasn't to be. They discovered that Sixpence couldn't cope on his own in the wild and Doris's fur wasn't sufficiently waterproofed, leaving her at risk from hypothermia. 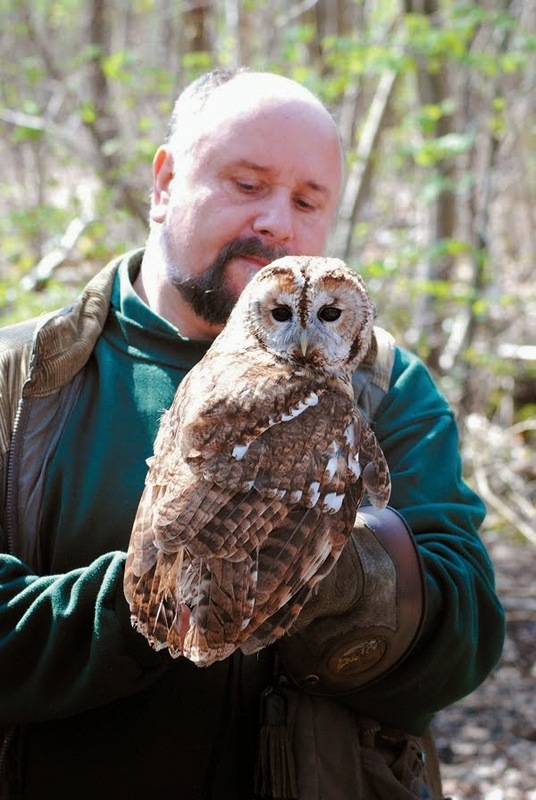 As neither animal could be released back to the wild, Wildwood stepped in to give them a permanent home. Jon May, Wildwood's park manager said "We were only too delighted to offer Doris and Sixpence a home at Wildwood. Otters are an iconic British animal that has faced the very real threat of extinction in recent times and we hope they will both delight and inspire our visitors about the story of British wildlife." 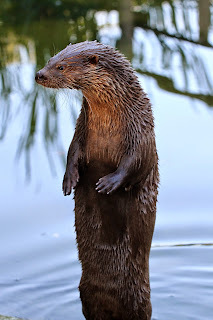 As a conservation charity which is dedicated to educating people about British wildlife, otters are a particularly important species for Wildwood. After nearly being wiped out across the UK in the 1960's their numbers started to slowly recover until they were found in every English county with the exception of Kent. Today otters have started to return to the county but their numbers remain very low and experts believe that it will take many more years before their population fully recovers in Kent. Wildwood hopes that Doris and Sixpence will help to educate visitors about the continuing importance of ensuring that otters can truly call Kent home once more. Look out for free talks and feeds at the otter enclosure (next to the ravens) throughout the summer holidays. Wildwood is delighted to have donated a pair of beavers to Beaver Water World near Westerham, Kent. The beavers; a male and a female which were raised at Wildwood, will hopefully breed at their new home, increasing the number of captive beavers in the UK. This is of particular importance to Wildwood as we campaign to return wild-living beavers to the Britain, as a strong captive population will one day be vital to making our dream a reality. As a conservation charity, Wildwood wants Britain to teem with wildlife once more and one of our charitable objectives is to promote the return of once-native species to our shores. Chief amongst these is the beaver which is one of the most important now-extinct species that should be returned to the UK thanks to the benefits they bring to the ecosystem. Beavers are currently classed as a "non-native" species after being absent from the UK for so long. This leaves them with no legal protection and open to persecution. Wildwood believes that this classification is wrong and that beavers should be legally allowed to live wild in the UK. Wildwood recently campaigned to save the "free beavers of the Tay" near Perth, Scotland. The campaign was a huge success and the Government was forced to abandon its plans to kill over 100 wild-living beavers. Wildwood Trust's members rallied to the cause, joining hundreds of others in urging the Scottish Environment Minister to save the beavers. The Scottish Government reversed its decision to carry out the trapping and instead will now review the position in 2015, when an official reintroduction study is due to end. Wildwood continues the fight to return beavers to our shores we hope that before long before the Government will decide to allow beavers to live wild and free again legally across the UK. "Beavers are crucial in helping restore the British countryside and are a vital, natural tool for improving the health of our riverbanks and wetlands. Beavers are marvellous habitat managers and their presence has benefits for animals and humans alike. Beavers create wetlands which act as giant sponges, helping to retain and purify water, prevent pollution, and reduce flooding which could help reduce water bills." We would like to thank all of our members who helped us in the fight to save the free beavers, it is because of your efforts that these amazing creatures remain wild and free. We hope that this is just the beginning of the story to bring the beaver back to Britain. Great news for anyone visiting Scotland this year! Our friends and co-campaigners in the fight to return beavers to the UK at the Bamff Estate, Scotland, are now offering camping and beaver walks to see the "free beavers of the Tay". Beavers were first introduced to a large enclosure on the stunning Bamff Estate in 2002. The beavers were imported along with those that were released to the Ham Fen nature reserve in Kent. Wildwood played a vital role in bringing the beavers to the UK by quarantining the animals at the park before their release. Wildwood is encouraging people to visit the wild beavers of Scotland both to educate the public about their importance in the ecosystem and to promote responsible wildlife tourism, which in turn will increase the chances of beavers being allowed to live once again in the UK. Over the years, the beavers at Bamff have thrived; they have bred and have built dozens of dams. They have also created multiple pools out of a deep ditch and expanded a small lochan (meaning small loch). As a result of their activity there has been a great burgeoning of biodiversity throughout the low ground of Bamff, with numbers of otters, water voles, waterfowl and plants all increasing in the area. Every year the Bamff Estate welcomes visitors to see, photograph and film the beavers and their habitat. Visitors can stay in the charming holiday cottage or the new semi-wild camping area behind the castle. A visit to Bamff and their Tayside walks is the perfect chance to see beavers living wild again both on the Bamff Estate and along the Tay after a 400 year absence. Participants will also be able to see their impact on the local ecosystem and how this "keystone species" has helped other wildlife to thrive such as otters, kingfishers, red squirrels, water voles, mergansers and cormorants. Wildwood is celebrating after successfully introducing another group of captive-bred hazel dormice to an area of Nottinghamshire woodland as part of a continuing project to help protect the species from extinction. Working alongside other conservation organisations including the People's Trust for Endangered Species (PTES), Zoological Society of London (ZSL), Paignton Zoo, Natural England and Nottinghamshire Wildlife Trust; Wildwood was on hand to assist in the release of 40 animals to a secret location. This recent release is the latest in the scheme which was established in 1992 and aims to increase dormice numbers in areas of the UK where the species is in decline. It is hoped that this latest release group will eventually link up with another population released last year in a nearby area. Once widespread throughout much of England, hazel dormouse numbers have steadily declined over the past 100 years. Thanks to the continued threats of habitat loss and unsympathetic woodland management the species has become extinct across half of its former range. Each year Wildwood supplies captive-bred dormice for the release programme and as studbook holder for the species, selects and pairs up the animals for release; thus ensuring the strongest genetic mix for future generations. 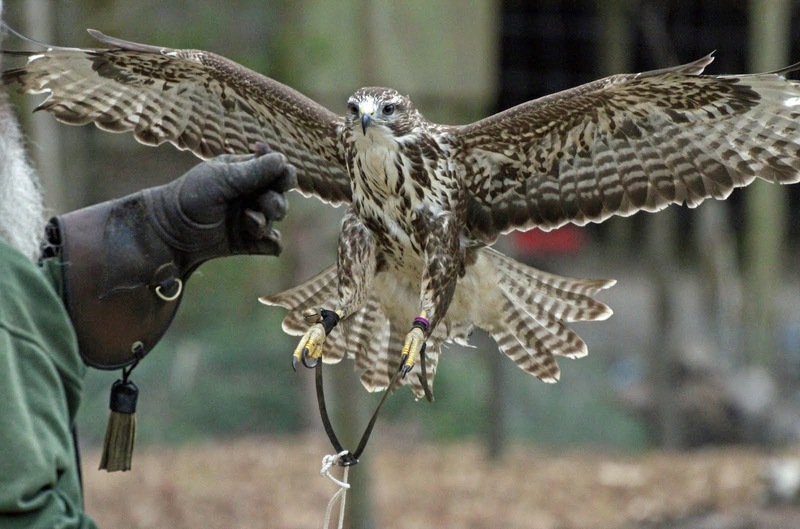 To boost the animals' chances of success, the woodland is carefully managed by Nottinghamshire Wildlife Trust to ensure it can provide suitable food and shelter, whilst the animals are introduced via a "soft-release" system. Initially they are housed in cages with adequate food and water before the cage door is opened after a few days. The cage is topped up with supplies allowing the dormice to come and go at will without having to fend for themselves immediately after release. This supports the dormice as they become integrated into the area and gives them the best possible start in their new woodland home. Hazel Ryan, Wildwood's Head of Conservation said "It's wonderful to be involved once again in this amazing project. We hope that with continued releases and careful habitat management we can help to expand their range and bring hazel dormice back to areas where they once thrived." The Wildwood bat flight centre has once again proved a success as the Wildwood conservation team celebrates the release of two rescued common pipistrelle bats to our woodland. The bats, both found orphaned as babies, were rescued and brought to Wildwood for rehabilitation with the hope that they could be returned to the wild. In our specially designed bat flight centre, built in partnership with Kent Bat Group, the bats learned to fly and echolocate so that they could catch their own food. After careful monitoring, our Conservation team examined their droppings under a microscope and saw that they contained fly antennae. This confirmed that they were feeding themselves and were able to go back to the wild. As the bats were rescued at a young age it was decided that the best site for release would be Wildwood's own woodland as we have plenty of roosting sites and an abundance of insects for them to feed on. The park also has numerous bat boxes across the site where bats can shelter (look out for them on your next visit). Hazel Ryan, Wildwood's chief conservation officer said "We are delighted to have released these bats back to the wild. Thanks to the bat flight centre we were able to bring them back to full health and give them a second chance in our woodland". This course will provide an overview of Kent's mammals, small and large. The focus will be on their ecology, reproduction biology and conservation issues. Their habitats and distribution in Kent will also be covered. (NB: Please note that mammal identification is covered in a separate course).The morning will be spent in the classroom, and the afternoon will be spent on a tour of Wildwood's mammals (including a behind-the-scenes look at some of our captive breeding areas). 9.45am – 4.30pm. £26 per person. 11.00am – 3.30pm. £40 per person. A chance to experience the ancient hunter-gatherer pursuit of coastal foraging. Learn to identify edible seaweeds, shellfish and shore plants and the best ways to prepare them. Discover some exciting recipes and sample the fruits of the sea and shore. Own transport required for offsite visit. 10.00am – 4.00pm. £40 per person. Wildwood is extremely grateful to the Gallagher Group for their kind donation of almost 3 tonnes of large stones for improvements to our Aviary. As a charity Wildwood needs to save our precious funds for our conservation work and so this amazing donation has helped us to re-vamp the enclosure and give our birds and visitors a much more pleasant environment for minimal cost. This type of recycling is not only good for Wildwood and our conservation work; it's also great for the environment as we can use lots of items that might otherwise go to landfill. We use donations of timber, cabling and other building materials throughout the park. Next time you visit remember that many of the enclosures and their furnishing have been created out of other people's rubbish! Items needed - can you help? As a conservation charity, Wildwood loves to recycle so that we can save our precious funds for our conservation work. We urgently need the following items for use around the park - can you help? Electric heat mats (reptile type) for baby/sick animals. If you can help with any of thse items please call the Wildwood office on 01227 712 111 - thank you!